Organize, store and protect all your favorite jewelry pieces and personal accessories by safely storing them in this hanging jewelry organizer. 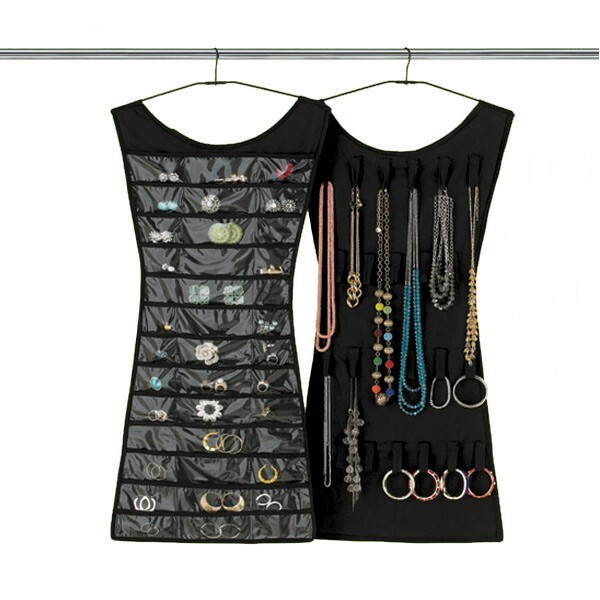 Organize, store and protect all your favorite jewelry pieces and personal accessories by safely storing them in this hanging jewelry organizer.﻿ Ultimate Jewelry Organizer Deluxe™﻿ takes up little closet space as it hangs from a closet rod and keeps your jewelry right where you can find it. Ultimate Jewelry Organizer Deluxe™﻿ is constructed of durable material with 32 see thru vinyl pockets for easy viewing and 18 hooks/loops to hang necklaces, bracelets, earrings and many others. We try to show product colours as accurately as possible, but please be aware that there may be slight differences in colour between the online images and the actual products themselves.